Relocating can be emotionally stressful as you navigate changing homes and sometimes jobs at the same time—and it can also be physically stressful as you prepare to move your possessions. Moving safety is incredibly important, since lifting heavy boxes, moving furniture, and navigating stairwells, doorways, and hallways all present hazards. The cross country movers at Advantage prepare for this physically demanding job with extensive training and by having the right equipment. There are right ways to lift heavy weight, and right ways to move heavy items in pairs; our teams of experienced movers know how to work together and also individually to take the best care of themselves and your household at the same time. Our teams also have the right personal equipment, like braces or kneepads, and the right equipment for moving heavy items, like dollies and lifts. The best way to take good care of yourself physically during a move is to leave the heavy lifting to us! Advantage provides packing, moving, and unpacking services to make sure that you can focus on the details of moving, like utilities, appointments, address changes, and the logistics of moving your family members, pets, or vehicles. Our cross country movers would be proud to take care of you every step of the way so that we can make your next move your best move yet. Wear the right clothing. Especially when moving furniture, exercise equipment, or other heavy items into or out of a home, it’s important that your footwear be appropriate (steel toed boots, tennis shoes, or other flat-soled and comfortable shoes) and that you have a full range of motion in your clothing. Be mindful of your surroundings. In some cases, this might mean taking art off the walls when you know you’re moving a piece of furniture almost as wide as the hallway. Or, this might mean removing carpets that aren’t flush against the floor. Take the time to plan your route, and make sure that each space you’re working in is prepared and safe for moving. Make a plan for kids or pets. If you’re packing or moving, or if a team of packers or movers is in your home, it’s very important to have a separate, safe space for children or pets. This allows you or your movers to remain focused on your task, and feel secure that you won’t be surprised by someone or something underfoot! Know your limits. If bending over to pack boxes at floor level makes your back hurt, you can try a brace and you can also try packing for limited periods of time, or short intervals throughout the day. Be careful of any existing or old injuries you may have experienced with your joints, particularly your back, neck, knees, and shoulders. It’s always better to be cautious than to be injured. The experienced teams of cross country movers at Advantage want to make sure that you can move into your new home with health and happiness. 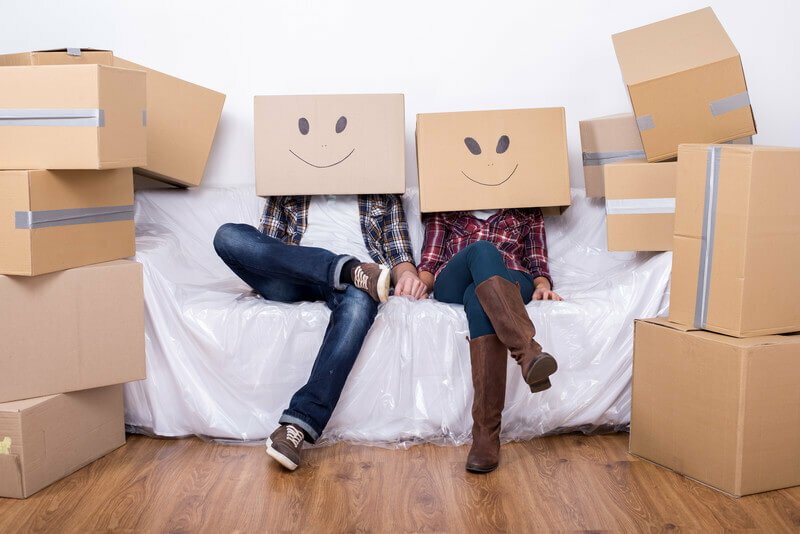 Practicing these moving tips helps keep you, your family, and your movers safe. To learn more about the full-service options available from Advantage, call today for your free quote.